I have favorite tree in my neighborhood. 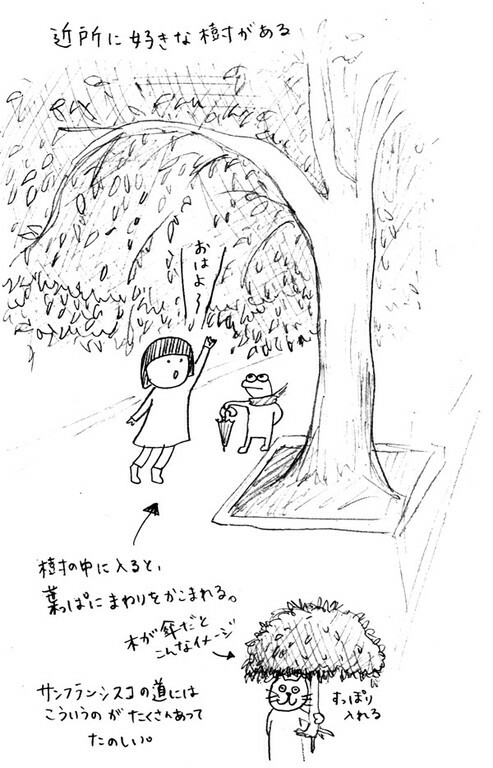 Because of the tree's long branch, when I walk to under the tree, I feel like I am surrounded by the tree's leaves. If the tree became umbrella, long branch and lots of leaves would protect you from rain. Street in San Francisco has a lot of fun for seeing plants!